Norovirus, sometimes referred to as the winter vomiting bug, is the most common cause of gastroenteritis. Infection is characterised by diarrhoea, vomiting, and stomach pain. Norovirus results in about 685 million cases of disease and 200,000 deaths globally a year. 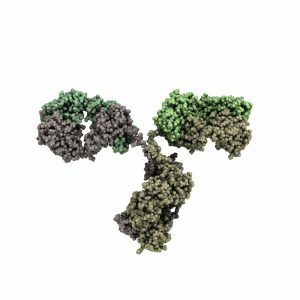 The Native Antigen Company offers both recombinant norovirus antigens and highly specific antibodies to support research and assay development into Norovirus biology and infection. Previously known as Norwalk virus, NoV is a major cause of non-bacterial outbreaks of acute gastroenteritis worldwide. Norovirus can infect individuals of all ages and is a major cause of gastroenteritis in contained environments, such as schools, care-homes, hospitals and cruise ships. Symptoms of NoV infection develop rapidly and include vomiting, nausea, abdominal cramps and diarrhoea (Robilotti, et al.). In most cases, NoV infection is a self-limiting disease that may last 1-3 days, but can cause complications in very young, elderly and immunocompromised individuals. In some severe cases, NoV infection can result in dehydration, hospitalisation and death (CDC). NoV is highly contagious. It can persist in the environment and is resistant to most household disinfectants. Transmission of NoV primarily occurs through the faecal-oral route and through contact with infected individuals, contaminated clothing, surfaces, food and water. In the USA, NoV is the leading source of food related illness (CDC). Diagnosis of NoV infection is commonly performed using real-time reverse transcriptase polymerase chain reaction (RT-PCR) assays. Enzyme-linked immunoassays are also employed to detect NoV in stool samples, but are reported to lack sensitivity. Currently, no licensed vaccine is available for the prevention of NoV infection. However, recent reports suggest that significant progress is being made to develop a vaccine that may provide short term immunity against GI.1 and GII.4 NoV genotypes (Takeda). 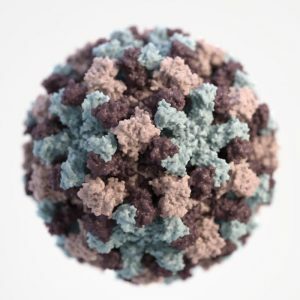 The Native Antigen Company produce Norovirus VP1 protein in a mammalian cell expression system, which produces intact virus-like particles (VLPs) of very high purity. The Norovirus VP1 protein self-assembles to form the Norovirus virion, containing 180 copies of the protein. 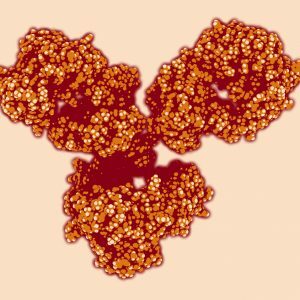 These VLPs are suitable for studies of VP1 structure and as targets for serological assays. We offer monoclonal Norovirus antibodies that are specific to either the GI or GII genotypes of Norovirus, allowing customers to determine the source of an infection and study Norovirus biology.